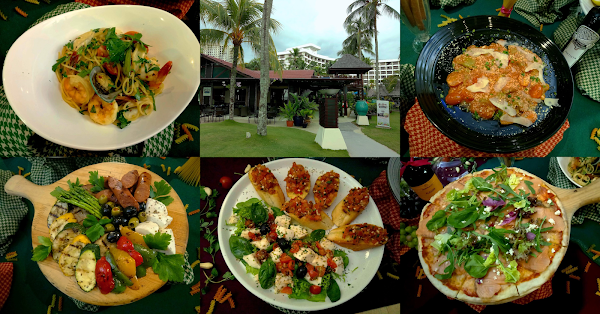 Sigi's Bar & Grill is one of the two main eateries in Golden Sands Resort; the other is Garden Cafe. The beachside restaurant commands a nice view of the Batu Ferringhi beach. 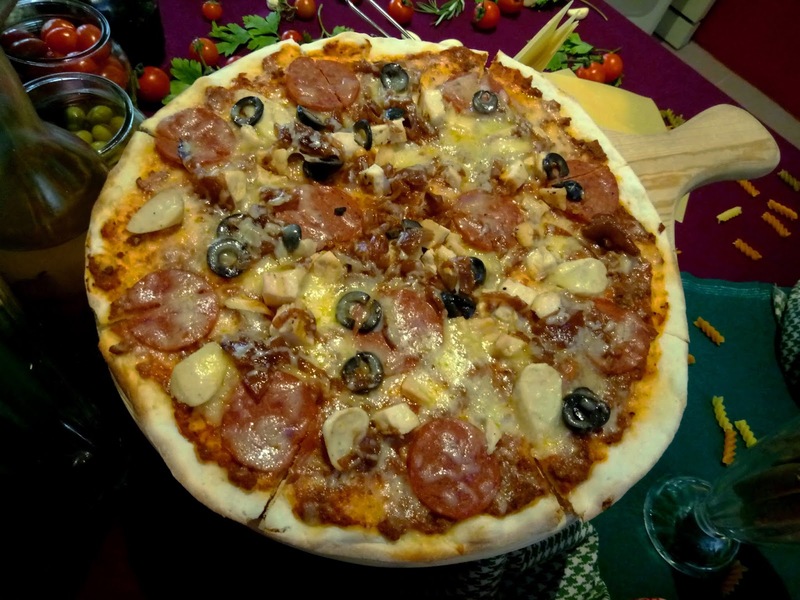 For many years, Sigi's has been serving a combination of Western grills, pizzas and local dishes. 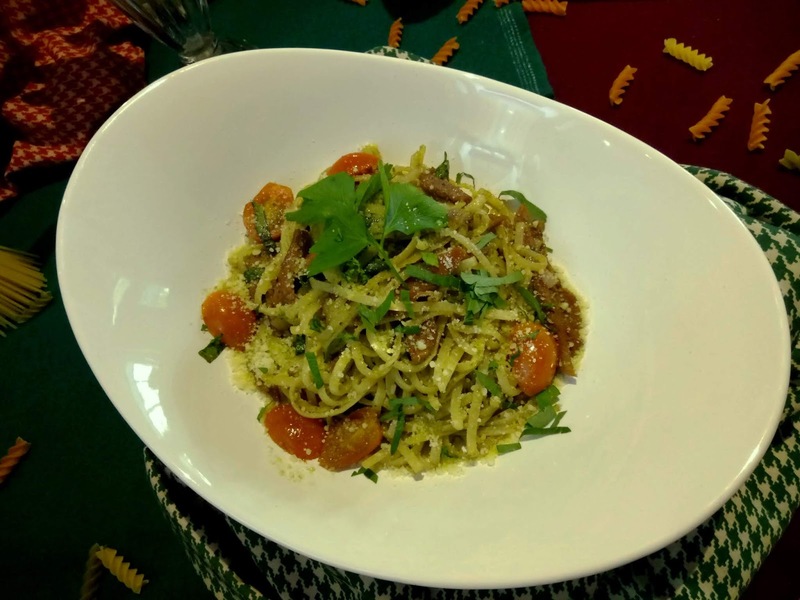 Starting April 2019, Sigi's is revising its food menu to focus on classic Italian cuisine. To this point even harder, the dining area has been decorated with numerous paintings and photographs of Italy. There is even a pair of Vespa scooters on display! The new menu offers a selection of Italian favorites from pizzas to pastas. Served à la carte, many dishes allow diners to customize their meals. 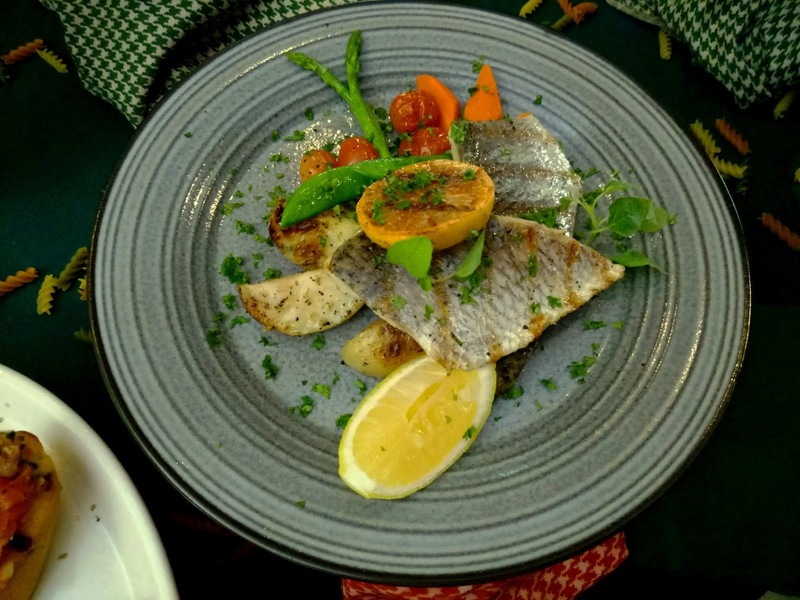 In memory of Peppino of yesteryears, Sigi's is reviving a handful of dishes that many resort guests have yearned with nostalgia. Diners are served bread as soon as they are seated. The choice of bread is typically focaccia or bread rolls. 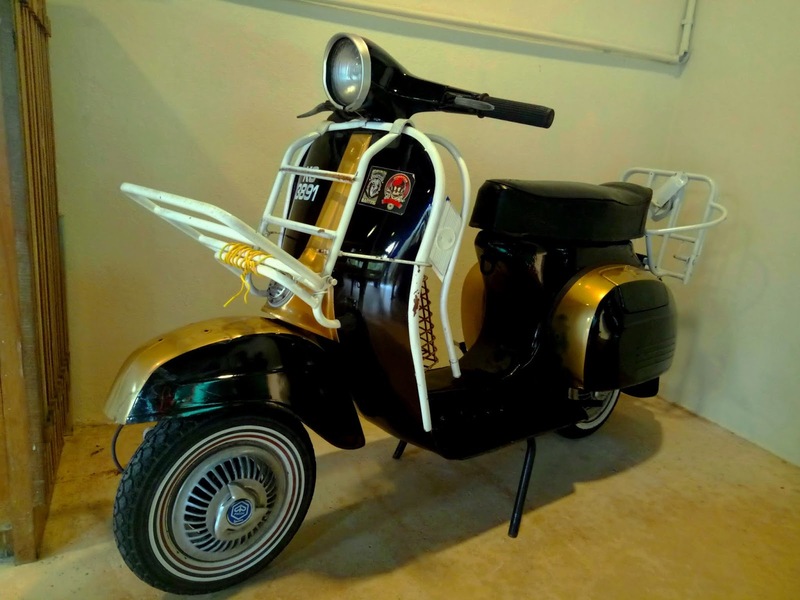 As the proverb goes, "When in Rome, do as the Romans do." 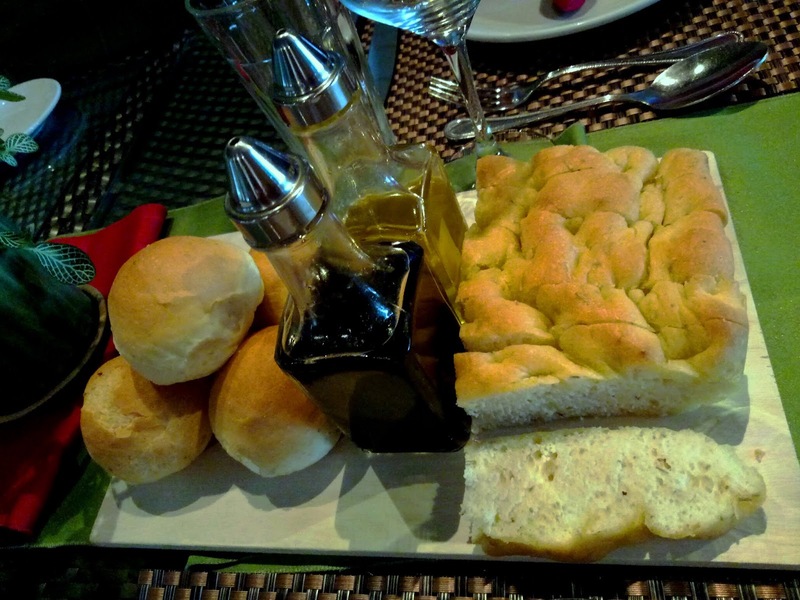 The Italian way to enjoy bread is by dipping with balsamic vinegar, extra virgin olive oil and a pinch of salt. Sigi's homemade sea salt is infused with basil, paprika or rosemary. 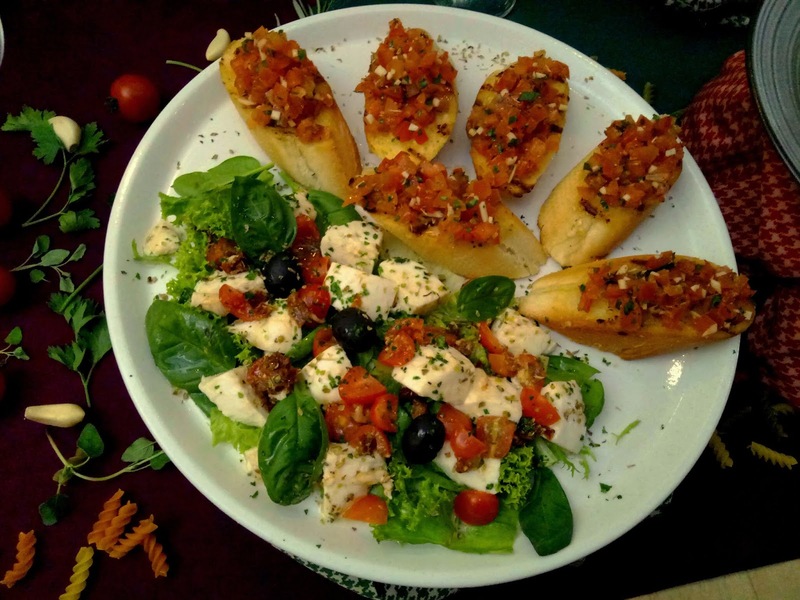 Commencing with a salad, Insalata (RM26.00) is a hearty mixture of garden vegetables like basil, lettuce, cherry tomatoes and olives. The addition of feta cubes (RM6.00) is certainly appealing. Meanwhile, Traditional Bruschetta (RM20.00) is topped with diced tomatoes and finely chopped basil. 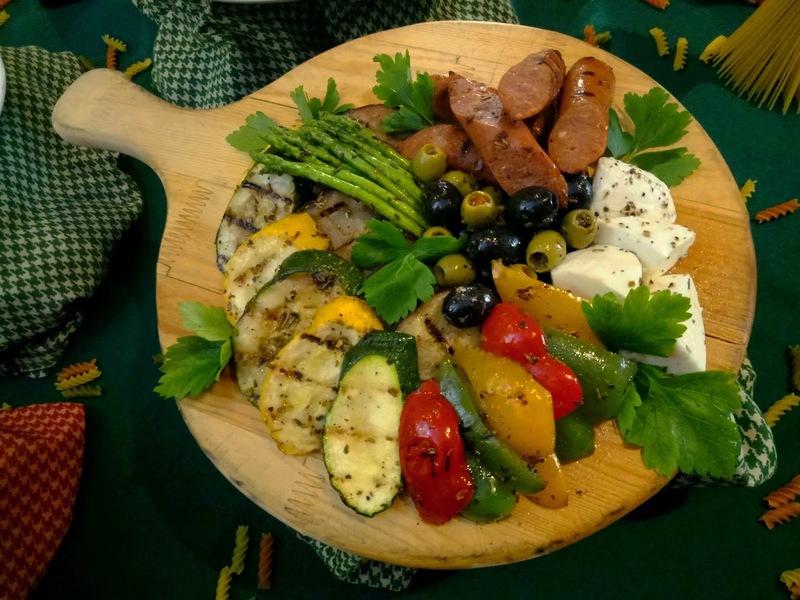 Antipasto is traditionally the first course of an Italian meal. Antipasti For Two (RM68.00) comprise of chorizo (sausage), bresaola (cured beef) and buffalo mozzarella. The delicacies are paired with grilled vegetables like squash, eggplant, asparagus, capsicum and artichokes. I cannot recommend Spinach Ricotta Ravioli (RM32.00) highly enough. The squarish dumplings are filled with ricotta cheese, and are served with marjoram-infused tomato sauce. Shaved parmesan cheese gives this dish an even richer taste. Anatra Affumicato (RM40.00), or smoked duck breast, is served with linguine with pesto sauce. The pasta is made by hand in the kitchen, which explains its delightful texture. Despite its simple appearance, this dish is scrumptious to the last morsel. 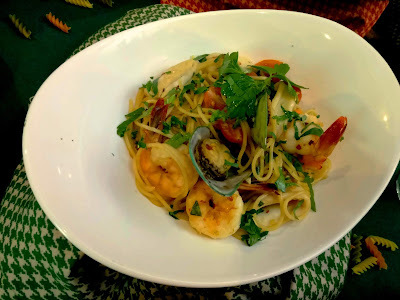 Seafood Aglio E Olio (RM40.00) is another classic Italian dish. "Aglio e olio" literally means "garlic and oil". Indeed, the spaghetti is sautéed with garlic and olive oil. Al dente pasta is accompanied by shrimps, calamari and green-lipped mussels. A dash of spices gives the dish a hint of pungency. Moving on to pizzas, The Godfather (RM40.00) makes a tongue-in-cheek reference to the mafia boss. This oven-baked pizza has notably thin crust. Pizza toppings include beef pepperoni, ground beef, chicken sausage and grilled chicken. For meat lovers, this is a pizza you can't refuse. Another thin crust pizza, Salmone Affumicato (RM40.00), is oven-baked with delectable slices of smoked salmon. 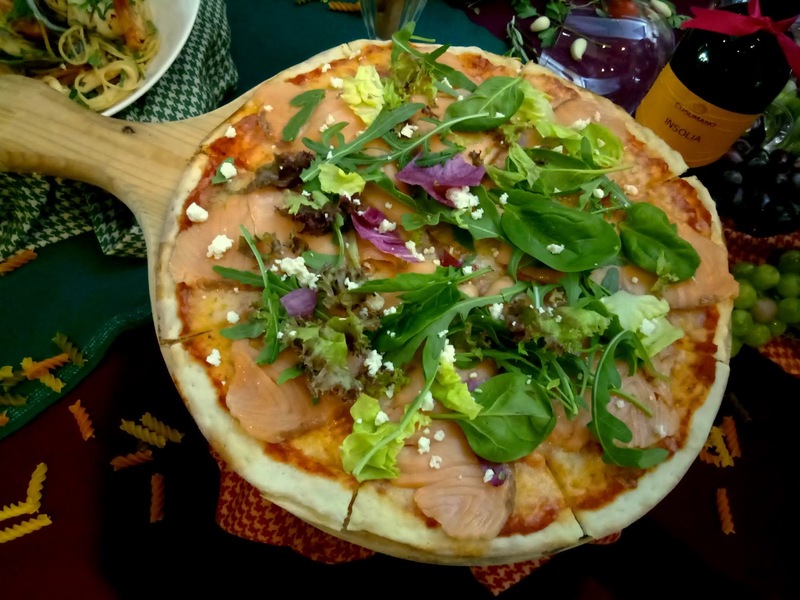 The pizza is given a finishing touch of fresh basil, arugula, lettuce and ricotta cheese. The salty sensation on my tongue is truly gratifying. 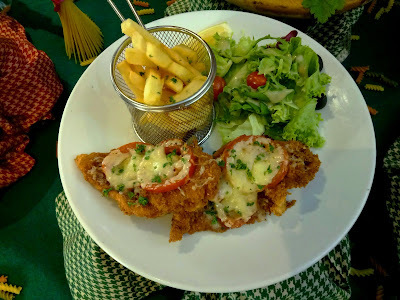 As for poultry, Petto Di Pollo Alla Milanese (RM53.00) is another crowd pleaser. Chicken breast is pan-fried with a crispy layer of breading. 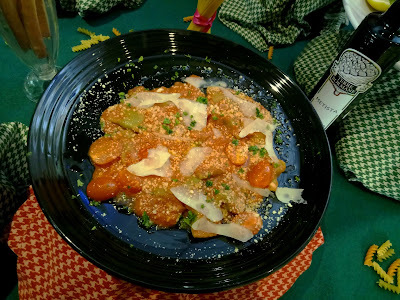 Tomato slices and melted cheese on top add to the overall flavor. This Milanese-style dish comes with French fries and garden salad on the side. 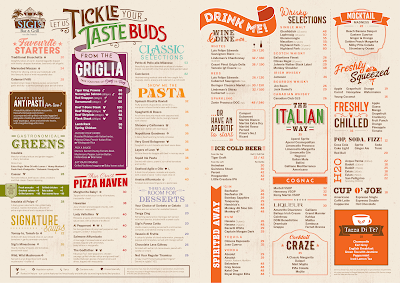 The griglia (grill) section of the menu offers several interesting choices. If fish is your cup of tea, Barramundi (RM60.00) may be the right choice. The fish's crispy skin is appealing indeed. Be sure to enjoy the fish while it is warm, otherwise the seasoning may be overpowering. 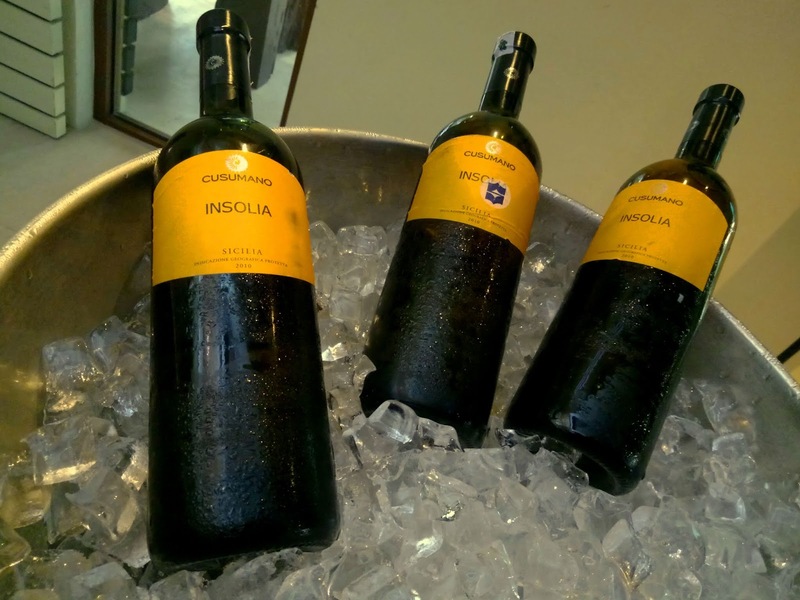 Sigi's revised beverage menu includes a selection of Italian wines and cocktails. While waiting for food to be served, it is great to order a glass of Aperol Spritz (RM35.00). This apéritif is concocted from Aperol liqueur, Prosecco wine and a dash of soda. You cannot have a pickier critic of Italian cuisine than a native Italian. To this end, Sigi's has invited Chef Gianfranco Pirrone from Shangri-La Hotel Jakarta to give the new Italian menu a stamp of authenticity. Specializing in Sicilian home cooking, Chef Gianfranco favors simple recipes that take advantage of fresh ingredients from the farm. Directions: Driving from George Town and upon arriving Batu Ferringhi, Golden Sands Resort is located on the right at the first traffic junction. 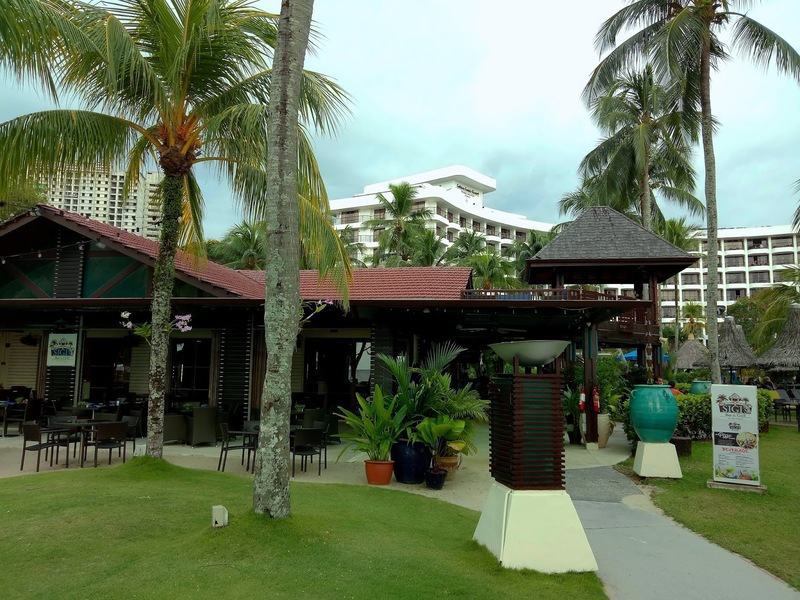 Sigi's Bar & Grill is located towards the far side of the resort, after the pools and facing the beach.